The guys from raspberrypi.org are testing currently the possibility to boot the Raspberry Pi also from other devices than the primary SD card plugged into the board. Until today, the use of an SD card in every Pi was a must have as it would not boot without it. Now the new hardware architecture of the Pi 3 brings, among other nice features, some new so-called boot modes with it. 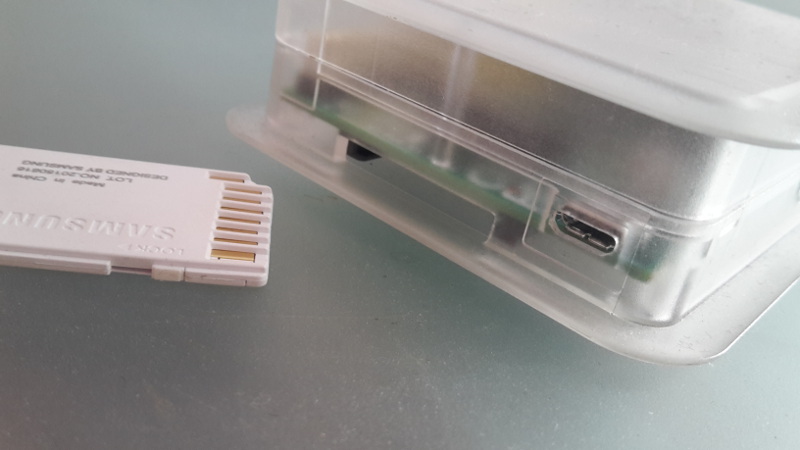 By using them it seems to be possible in the near future to start your Pi also from any plugged-in USB device, eg. USB flash drive, external hard drive or SSD. Additionally it even seems technically feasible to start and operate the Pi only by using a remote network image, so to say without any other plugged-in devices. Although accessing the internal SD card is the fastest way to boot up your Pi, those cards are due to their internal architecture suspected to get corrupted after some certain number of read and write cycles, which tend to happen often in every core system. In worst case the whole file system will then end up being destroyed. However, there is no doubt that by far more file systems crash due to a disconnected power supply while the system is still running – foreseeable this would likewise get also any USB device into big trouble. Even though I never heard of any concrete case where an SD card really crashed over time because of too many write cycles: Abandoning the slightly historical seeming SD card and replacing it by USB devices appears like a charming and more comfortable and modern solution. However, the additional advantages of being able to start the Pi via a network image are more obvious. Among other, multiple Pi could use the same network image, which on the one hand provides an easy backup strategy and on the other, provides easier and faster updates of all systems simultaneously. For using the various new boot modes, the internal boot-ini files of the Pi system have to be modified and recompiled. First tests with modified boot files were promising and mostly successful. However, the new boot function is still in beta testing and probably will need a little bit more time for development, but foreseeable, will also be a new standard soon. Some minor issues are still being tested and reconfigured. One main issue, the USB device has to be available and respond to the system within two seconds maximum, which can not be guaranteed for every available USB device. If it takes longer the boot will fail. This issue, again, also depends on the appropriate power supply sequence of all the system’s components which can differ from case to case. Another issue when using the network-only boot mode is that the DHCP communication with the particular router has to be set up correctly by the system even though some routers vary in their protocol specifications.